All rough-ins generally include the following services and can be packaged together to fit your needs and budget to provide a rock solid foundation for your new home on wheels. Timeline: Rough Ins generally take about 3 months to complete. We are generally on a 4 month waitlist for Rough Ins. 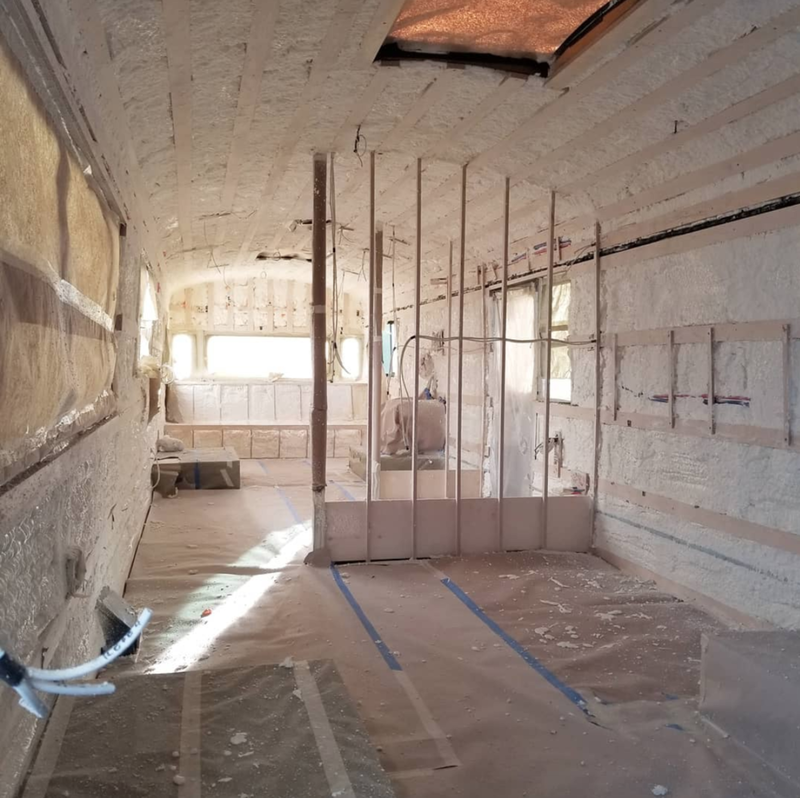 Cost: Costs depend on the size of the bus, materials used, how detailed the blueprint is, and how far we take it, but most rough-ins will get you 80% of the way ‘there’ for only 60% of the cost of a turn-key build.